Oscar night is right around the corner and this day is literally my Super Bowl. I prepare for weeks on end, watching movies, reading reviews, and filling out ballots. This year, I decided to add some Hollywood glamour to my viewing night, but dressing all my favorite movie theatre treats in gold. Popcorn is already a delicious golden-yellow color, but I wanted to kick it up a notch by adding some gold stripes to my plain white bags. 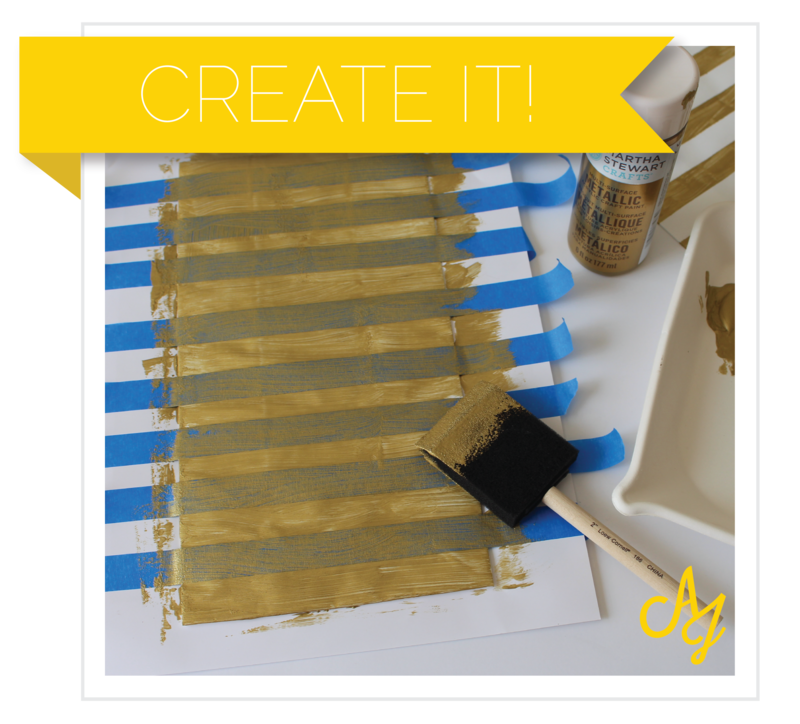 This craft is stupid easy, and much more cost efficient than purchasing gold foil bags. I purchased a bottle of gold metallic paint by Martha Stewart for about 3 dollars and was able to paint over ten bags, with more than enough paint left over for other projects. Using some painters tape. I taped up some lines and painted a solid layer over top. Be sure your tape is completely down to avoid paint seeping under the tape. I waited until the layer completely dried before adding another one. 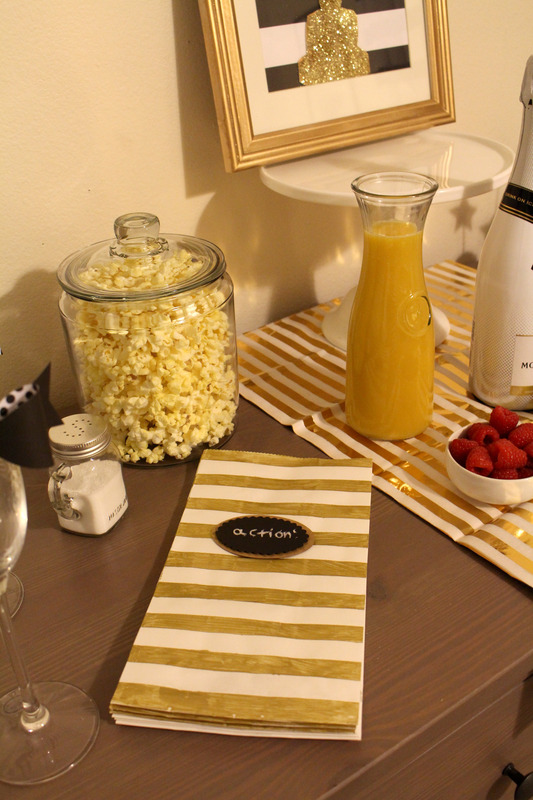 Add some fun custom labels and you have Oscar-ready popcorn bags for your viewing (and munching!) pleasure. Check back later this week for more Oscar-related fun. In the meantime, you can visit Ally Jean on Pinterest.